Liveurope was once again part of the PrimaveraPRO's International Concert Venues Congress, which took place on 1st of June 2018. PrimaveraPRO is an annual international conference for music industry professionals around the globe held in Barcelona, Spain that runs parallel to the PrimaveraSound festival. The Concert Venues Congress programme is organized within the professional conference and gives a platform for discussions about the developments within the live music sector. Music Moves Europe: The future of funding for the sector at EU level. To continue the pivotal discussion on the music landscape, Liveurope once again followed up on one of the most important topics in our industry: the activities on Music Moves Europe. This initiative was announced by the European Commission in 2016 and in February 2018, the perparatory action was launched. In May 2018, the European Commission announced that they were proposing to launch a sectorial action for the music sector in its legislative proposal for the next Creative Europe programme. This confirmed the hopes of all music industry stakeholders on the European landscape. 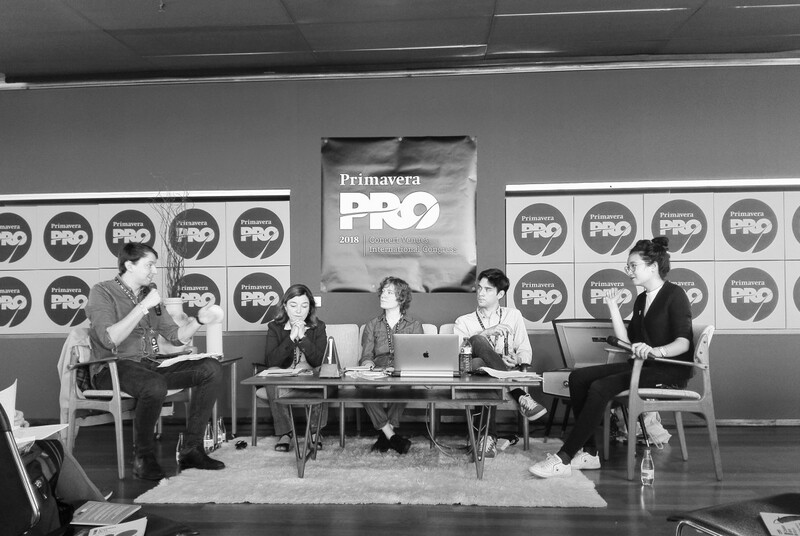 At last year's PrimaveraPRO conference in Barcelona, Liveurope started this discussion with key players looking forward to the developments, and this year was an opportunity to revisit the progress of this important moment. "The opportunity is open. Meet your government, meet your local authorities. Start lobbying for Music Moves Europe on your level in your sector. The more we are to push this programme, the stronger we will be! ", said Matthieu Philibert of IMPALA, the representation of European independent labels, referring to the individual responsibility of everyone working in music. Antonia Andugar of the Catalan Institute of Cultural Enterprises echoed the immense importance of the music industry to work together now, "hand in hand, our work is just beginning. We need to stick together as a whole," she said, encouraging us to look at the sector as different, but with strength in unity. Javi Lopez, Spanish MEP dedicated to the European culture, expressed enthusiasm for the recent developments in scope of Music Moves Europe. Lopez reminded us that this initiative involves stakeholders, local governments, and the European institutions which all must work together. He explained how our sector is so fragmented, and stressed that "now, we have a clear opportunity to create recognition for this industry", he said. “This proposal from the EC shows that the music industry is receiving recognition for its crucial contribution to the social, cultural and economic development of the EU”, concluded panel's moderator Elise Phamgia, Project Coordinator of Liveurope.